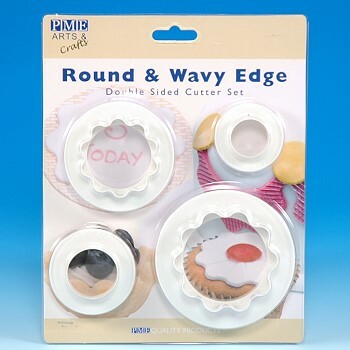 Create Round and Wavy designs with this specially designed cutter set. 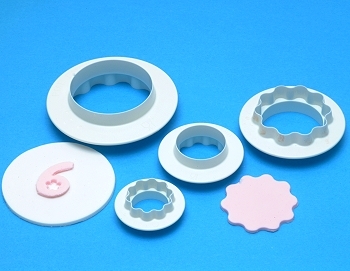 Each cutter is Double-Sided, with both a plain edge and wavy edge. Ideal for cutting-out plaques as a background for messages, numbers, and motifs. Create swags, fabric effects and featured designs. Add interest and texture by using in conjunction with ribbed and basketweave rolling pins. Made of plastic, height 3/4"